Last month, a short video that was created in 2012 inexplicably came back to life and started circulating again on the texting app WhatsApp. Rivka Malka Perlman, the creator of that original video, explained to veteran Israel News Talk Radio host Tamar Yonah how it all happened. The only glitch was that the video was seven years old. 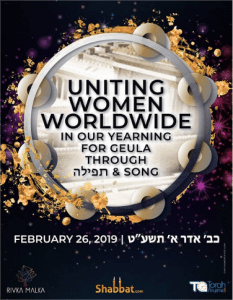 There was no geula event being planned for February 2019. “At the same time,” Perlman continued, “I had gotten a Divine message that right now we are so close to the End of Days. Each of us has a piece of Miriam in her, Miriam the prophetess who God guided the women in Egypt. “She was the midwife there. She helped them. She encouraged them to beautify themselves. She taught them to make tambourines in anticipation of leaving Egypt. We don’t have a Miriam, but we have the women, and each of us has a spark of Miriam inside, and if we collaborate, that would be the ultimate unity. “All of a sudden, the whole thing came together and it erupted. Yes! This is what I was talking about without realizing what I was saying. The women need to gather. When? Well, the Master Planner already planned it on a video – February 26. 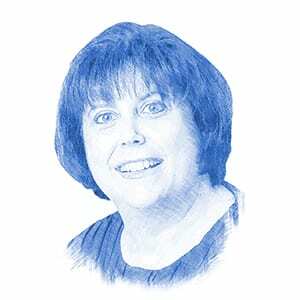 “So right this minute, there are hundreds of women planning these Geula Gatherings all over the world. I’ve got women in Moscow, Sweden, the Five Towns, Pittsburgh, Cincinnati, Beit Shemesh, Jerusalem… I’m not sleeping! I’m sitting at my computer navigating all these people who are yearning for redemption. Since the interview last week, many more cities have joined in and are planning local Geula Gatherings. There are dozens of communities worldwide who will be participating in this global event, including Yad Binyamin, Haifa, Jerusalem, Tzfat, Raanana and Ramat Beit Shemesh in Israel and Philadelphia, Deerfield Beach FL, South Bend, IN, Brooklyn, Chicago, Atlanta, Houston, Passaic/Clifton NJ, Queens NY, Lakewood NJ, Woodmere NY, Cincinnati, Toronto, Cleveland, Baltimore, Silver Spring MD, Scottsdale AZ and Sherman Oaks, CA in North America. The Geula Gatherings are a piece of an even larger, more ambitious undertaking called The Redemption Project. Coordinated by Ziva Glanz who lives just outside of Jerusalem, The Redemption Project is planning a massive event in Jerusalem for April 7, 2019, which is the first of the Hebrew month of Nisan, a month that carries the energy of redemption. In the traditional Jewish understanding, unity is a crucial necessity for advancing redemption and for bringing Moshiach. Glanz’s work in this arena was strengthened three years ago when she gave birth to a baby son, born prematurely, who passed away. His name was Malachi. Energies are coalescing. Perlman, Glanz and thousands of other women worldwide are pointing their intentions toward letting God know that we are ready for redemption. And even if, despite their efforts, Moshiach doesn’t come, they will have advanced the Messianic process by creating unity across the globe.